E Cube, Inc. was founded in 1975 by Dr. Jack Wolpert under the name of Nederland Refrigeration. The firm originally provided HVAC construction and service contracting to Colorado’s front-range. In 1985, Dr. Wolpert received one of the first commissioning certifications from the University of Wisconsin, and shifted the firm’s focus to specialize in energy efficiency and operational reliability. Along with this change in focus, the firm’s work began to shift from contracting to technical consulting with an emphasis on retro-commissioning and facility optimization. 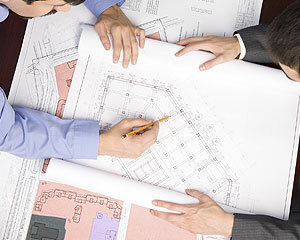 In the 1990’s, E Cube’s consulting services continued to grow and expanded into commissioning of new buildings. The firm’s name was changed to E Cube, Inc. in 1991 to better reflect our focus on Energy, Efficiency, and the Environment. The 1990’s also saw E Cube’s geographic expansion with the opening of an office in Chicago. Over the past two decades, E Cube’s commissioning projects have included major hospitals in Chicago, Denver, Boulder, New Orleans, Las Vegas, Albuquerque and San Diego. We have also commissioned a wide range of laboratories including pharmaceutical, medical research, vivaria, BSL-3, and wet chemistry labs. Data center projects, commissioned by E Cube over this period, have included IBM, Facebook, FedEx, Walgreens, Agilent, and others.